DETROIT -- In another sign of progress, Chrysler Group's 25 percent sales gain in April was the biggest since the automaker posted a 27 percent advance in July 2005. Chrysler declared bankruptcy in April 2009. Last month, it easily topped its weak year-earlier sales. But it was more than a one-month blip. Chrysler's rebound began in February. That month, Chrysler posted its first monthly gain -- 1 percent -- in more than two years. The automaker then slipped 8 percent in March. But last week Chrysler said it expected more than a 20 percent increase in April, a prediction it made good on. The April sales increase was also accomplished with reduced incentives -- more than $1,000 below the year-earlier level. Still, Chrysler's incentives last month were higher than those of any of its major rivals. Chrysler's July 2005 sales increase came when U.S. automakers offered all buyers the same discounts as employees. General Motors led the charge in June 2005, creating what would become an all-out incentives battle among automakers. GM saw an astonishing 47 percent sales increase in June 2005 over the previous year, thanks to its Employee Discount for Everyone promotion. Sales at the Chrysler portion of what was then DaimlerChrysler AG went up only 5 percent during that same time. Chrysler had no other option but to match GM, launching its Employee Pricing Plus program on July 6, 2005. 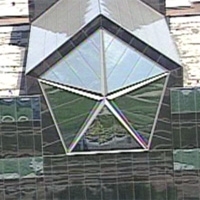 The incentives worked, giving Chrysler a 27 percent boost in July 2005. The automaker continued its employee-pricing offer until Oct. 3, 2005.